"Bally 1987 Common Assemblies" has been added to your cart. 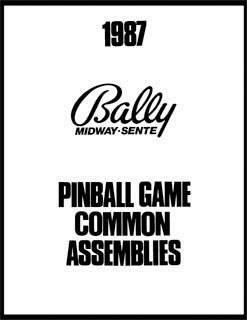 Original Bally 1987 PINBALL GAME COMMON ASSEMBLIES. Contains exploded diagrams and parts lists for common mechanical assemblies (flippers, thumpers, slingshots, drop targets, etc.). Excellent condition.